United Technologies, Like all other companies, has the "Program Dejure" of the year. The current CEO is a student of the eastern business methods, of the 1950's, and unfortunately the philosophy is currently on a campaign to exterminate any of the last remnants old and venerable Sundstrand company, which was a very progressive in its methods prior to the Sellout. The current Knuckle-headed senior staff members, now have adopted a philosophy that people, and employees are liabilities that that should be eliminated whenever possible. During one of the clean up days, I found this hand typed document in the trash, and rescued it. It was not marked as a copyrighted work, but I will for purposes of this site reserve the copyright to the original Author Fred R. Swanson. © I have scanned it in as its original format, and tried to maintain the original content as I found it, despite the best efforts of Microsoft word to completely re-write every line. Some spelling errors have been corrected, the grammar is in its original state. invented the 10 key adding machine and put it into production with his brother Oscar. David stays with the machine tool business after the adding machine division is sold. 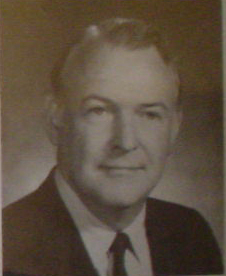 Don O'hare Joins Faulk Corporation in 1950 in engineering, and marketing. Becomes part of Sundstrand in 1968 when Faulk is purchased. Is elected Vice chairman in 1980 and holds various senior positions until the departure of Harry Stonecipher to Mcdonald Douglas in 1994. O'hare is made acting chairman, and CEO until another can be hired. Of all of the CEO's I recall Don was a true friend of Sundstrand and the community. Hired from Illinois Tool works in 1995 Tries to bring the simplistic notion that complex aerospace equipment is the same as a staple gun, and should be produced "en-mass" It is unsure what the factory would be doing the other 300 days of the year, idle, but the concept of flow manufacturing came from it. In 1997-1998 Sundstrand approached UTC and offered to buy Hamiton Standard. UTC proposes the opposite arrangement and Jenkins who was familiar with the hammer and staple gun market, and uncomfortable in the aerospace arena, Seizes the opportunity to line his wallet with a quick 30 million. He sells out the company !! Hired at Sundstrand in 1968 as an engineer on the Space Shuttle program Promoted to VP of electric power in 1989, and finally as president of the new Hamilton Sundstrand in 1999. As of this document still in the same capacity. It is said that Mckenna is a regular 50-60 hr/week type guy, and expects the same from his immediate reports. He now does the best he can to try and integrate the new company and maintain a ballance from the Rockford an Windsor locks operations. In October 1987, the Rockford Museum Center asked me if I would make a recording, outlining the early history of the Company, and the progress of machine tool design during those 56 Years. I would like to acknowledge the people who gave me valuable information from their personal records, pertaining to the early history of Sundstrand Machine Tool Co.
Gordon Cedarleaf, son of Edwin Cedarleaf, a co-founder of the company. Phyllis (Sundstrand) Wildeson, daughter of Adolph Sundstrand. Gunnard Wahlmark, Employed by Sundstrand as a hydraulic Engineer. 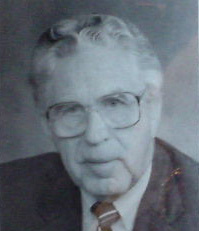 Gordon Cedarleaf provided me with some of the following detailed information about Sundstrand's early history and biographical information about his father, Edwin S. Cedarleaf. In the early 1900's, Rockford's industrial growth was in its infancy. Starting a small company, in those early days, was not hampered by corporate or state laws. Many companies were started by one, two or more men who were skillful in mechanical manufacturing processes. 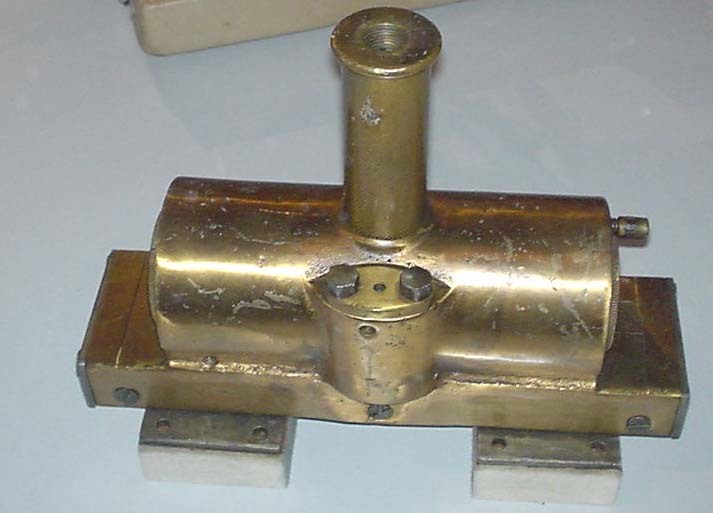 Many enterprises grew out of the need for products which these early machinists manufactured. Some of these items were cutters for the thriving wood working factories in Rockford. Other men made simple machines, drill presses, and milling machines. Electric power for individual motor driven machines was not yet introduced. In light of the above, many companies started with one man or more shops in the Rockford Water Power District. This area was between the Chicago Northwestern Railroad tracks on the North and the Kent Creek on the South. It was bounded on the East by the Rock River and the West by South Main Street. The Rock River Dam ran adjacent and parallel to the Chicago and Northwestern Railroad tracks. The water entered from above the dam, under the street and fanned out under Race Street and Hill Street. Each building had its own water wheel. This provided the motive power for the shops in the building. Each water wheel was controlled by a sluice gate. This gate was opened at the beginning of the work day to turn the water wheel. The power was transmitted from the water wheel by a wide leather belt to a line shaft on each floor of the building. A four- story building would have four line shafts. At quitting time, the sluice gate would be closed, thus shutting off the power. The water was diverted into the tail race and on Into the Rock River below the dam. The power was generated by the fall of the water from above the dam to the normal river level below the dam. With this arrangement, belts driven from the main line shaft on each floor ran the various machines,. The rotation was shifted from "off" to "on" by a shift stick which transferred the secondary belt from an idler pulley to the fixed pulley on the machine. It was understandable that the early water power district was developed, as no central electric generating system was yet available. Thus, by building a dam across the river, a reliable and inexpensive source of rotary power was obtained from the water wheel system. The rent charged for the property included. A small fee for the upkeep of the dam, water wheel, and raceway. It was because of this that many small manufacturing enterprises rented a small corner of a floor from other businesses already In operation. In this way, the small shop could start operations with a minimum of cash outlay. The Rockford Tool Co. and the Rockford Milling Machine Co. both started business in the water power district. The Rockford Tool Co. occupied a rented corner on the second floor at 668 Race Street. This was a three story building, and for a time years later, was owned and occupied by Solem Machine Co. This building backed up to the river. Some of the men involved in the Rockford Tool Co. were Swan Anderson, Elmer Lutzhoff, Levin Faust and Hugo Olson. This company made cutting tools and pneumatic rubbing and polishing machines for the furniture factories. 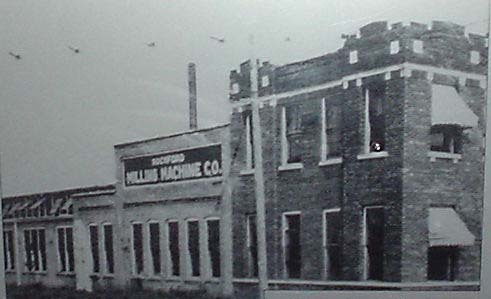 The Rockford Milling Machine Co. had its origin in a building Just east of South Main Street also in the water power district. Its origin dated back to the early 1900's when it was another company (I believe the name was Dahlen Brothers CO.). 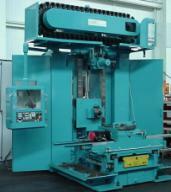 They manufactured a small bench-type milling machines. This operation was on the second floor of this building. This space was later, and for many years, occupied by the Rockford Standard pattern works. Edwin S. Cedarleaf was born in Smoland, Jon-Koping, Sweden, October 23, 1879. His parents were John and Agusta Cedarleaf. Johni was a blacksmith and machinist. Edwin was self educated, and served his machine shop apprenticeship in a Swedish shipyard. He immigrated to the United States in 1902, landing on April 25, 1902.He located in Chicago, Illinois and lived with, a relative, Per and Sophia Cedarleaf. He was first employed as a tool maker at Western Electric Co. He moved to Rockford, Illinois. For a time, he was employed at National Lock: Co. and later at Rockford Lathe and Drill Co.
On May 12, 1908, he married Agnes Sundstrand. She had three brothers, David, Adolph, and Oscar, who were later associated in the business. Elizabeth was also a younger sister. While riding the streetcar to work one morning, Edwin picked up a newspaper on the seat. In this paper, was an advertisement that caught his eye. It advertised a small shop for sale in the waterpower district. Rather than going to his regular job, Edwin stayed on the streetcar and went to the shop location. This small company made small bench-type milling machines. He discussed the purchase terms with the owners, then went to the Third National Bank, and obtained a loan to purchase the business. Edwin, being 31 years old, realized he needed help in establishing a workable-company. Edwin's brother in-law, Oscar Sundstrand, age 21, had just returned from Minneapolis where he had been working in his brother David's machine shop. He joined Edwin in the business. Oscar was born in Rockford, November 21, 1889, a son of Lars G. and Anna Sundstrand, who located there upon their arrival In this country from their native Sweden in 1882. Lars was a building contractor in Rockford for many years. Reared in Rockford, Oscar attended the local schools, and afterward, joined his brother David who owned a machine shop in Minneapolis. David Sundstrand was born in Sweden March 8, 1880. His parents brought him to Rockford when he was one year old. David attended the local schools, and entered an apprenticeship to the machinist's trade in the Ingersoll Milling Machine Co. in Rockford. In 1906, David found himself in the city of Minneapolis and there recognized an opportunity to go into business on his own account. He opened a small repair shop, given over largely to repair work and such jobbing as his limited facilities would permit. David sold his business and joined his brother, Oscar, and brother in-law, Edwin, in their new business venture. 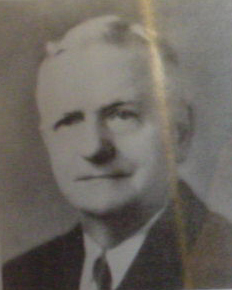 Mr. Hugo Olson, a friend and a partner in the Rockford Tool Co., also joined the company. 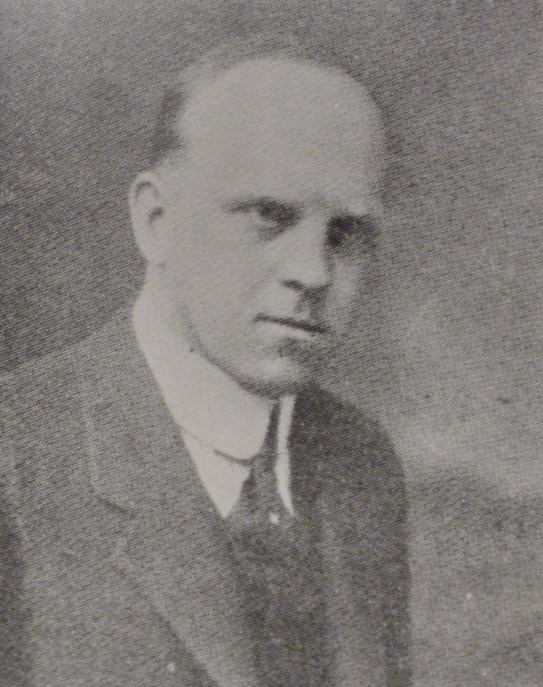 Mr. Olson was born in Sweden in 1877, and immigrated to America in 1892. 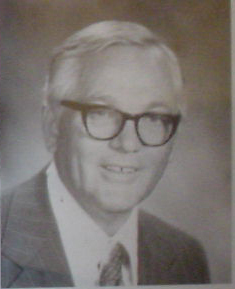 He attended local schools and Brown's Business College in Rockford. After college, he worked in a local Insurance office, and advanced to head bookkeeper. In 1890, the four partners formally established the Rockford Milling Machine Co. The association between the Rockford Tool Co. and the Rockford Milling Machine Co. grew. The men in both companies needed more manufacturing space. In 1911, the combined operation moved to a new building on the corner of Harrison Avenue and Eleventh Street. At this early date, this location was out in the country. The building had a sign painted "Rockford Tool Co." yet both companies operated as separate entities. Both companies were so closely knit that it was difficult to distinguish one from the other. 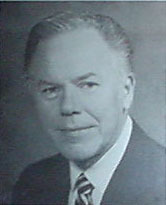 Mr. Hugo Olson was General Manager of both companies. When David Sundstrand joined the company, he brought with him samples of the ten-key adding machine that he had invented. The first successful working model was built in 1911, and the patents issued in 1913. 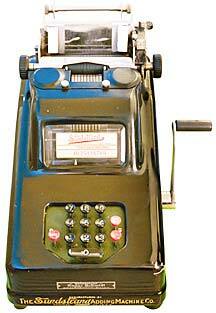 The first commercial model adding machine was introduced to the market in 1914. In 1915, the Rockford Tool Co. built a 25,000 sq. ft. factory one block north of the Rockford Milling Machine plant on Eleventh Street. The Rockford Tool Co. occupied the South Bay and the Sundstrand Adding Machine Co. occupied the North Bay. 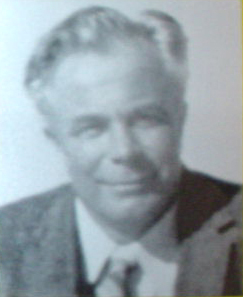 Oscar Sundstrand became the Sundstrand adding machine designer and developer. David disassociated himself from the adding machine project, and spent his time designing and developing lathes, centering machines, etc. for the Rockford Tool Co.
Adolph Sundstrand, a brother of Oscar and David, was employed by the company in 1924, to develop a stub lathe he had designed. This lathe was a radical departure from the common tool room lathe. The stub lathe became well known throughout the country in the automotive and farm machinery plants. it became a major part of the Company's machine tool production, and remained popular through 1966. Adolph left the company in the late 20's to form his own company called "The Metwood Mfg. Co."
Lutzoff joined another Rockford Manufacturing Co. in 1912. 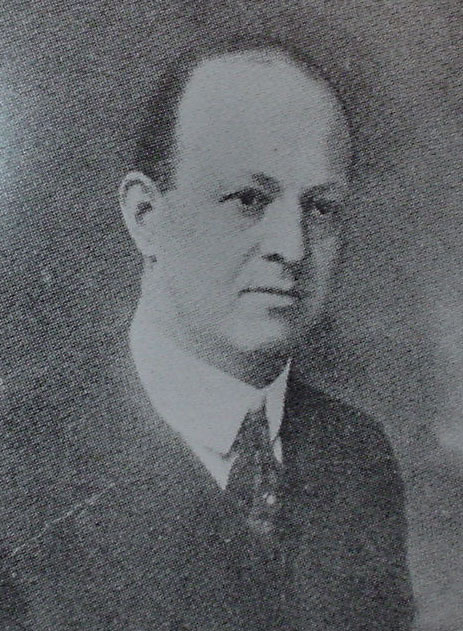 Swan Anderson left his position as superintendent in 1916, to form his own company. In 1926, due to the rapid growth of the adding machine business, it was decided to merge the Rockford Tool Co. personnel with the Rockford Milling Machine Co. and rename the company "Sundstrand Machine Tool Co." with Hugo Olson serving as President. In 1926, the Adding Machine Co. was sold to the Elliott-Fisher Co. for three million dollars, the largest industrial transaction in Rockford's history. 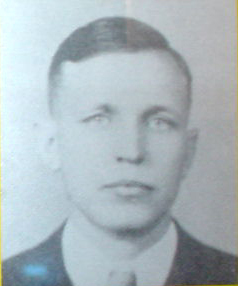 Oscar Sundstrand became an employee of Elliott-Fisher as a research engineer. In the 1920's, all the machines being manufactured by the Rockford Milling Machine Co. were belt-driven from a line shaft. Electric power was now becoming available for industrial plants, therefore, it became necessary to equip machines with individual motor drives. At this time, the company employed a man from Jackson Michigan by the name of Charles Devlieg. who had designed a milling machine he called the "RigidMill". 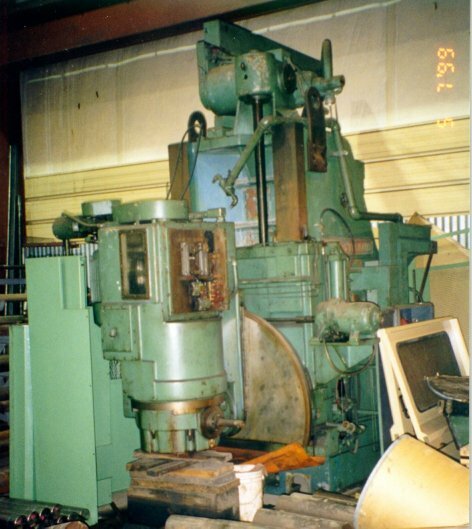 This milling machine was a radical departure from the universal knee-type milling machines the company was building. The base, that supported the work, the table, and the column that supported the spindle head, was cast in one piece. This design made the machine very rigid and accurate. The RigidMill also incorporated feed and rapid return to the work table. This function was manually operated previously. The RigidMill replaced the universal milling machines the company W83 building, and became well known throughout the country in the automotive and farm machinery manufacturing plants. It became a major part of the company's machine tool production, and remained popular through 1966. 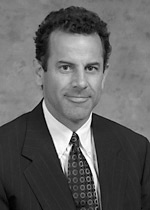 Mr. Devlieg left the company to start his own company in Jackson, Michigan. After a short time, he contacted Edwin Cedarleaf to have him come and work for him as shop superintendent, the same position he held at Sundstrand. Edwin accepted the position, but after one year, his employment was not to his liking, so he returned to Rockford. After a short interim, he accepted the position as superintendent of Solem Machine Co. Later, he joined Forest City Bit and Tool Co. where he was employed at the time of his death in 1943. In 1919, when I was a senior in High School, a serious flu epidemic broke out in Rockford and Camp Grant, causing the closing of all public schools. Not knowing when the schools might reopen, I applied for work at the Rockford Milling Machine Co. They accepted my application and entered me into their apprentice-training program, for 13¢ per hour. I never returned to finish High School. The apprenticeship training consisted mostly of practical involvement in all the various departments throughout the shop, office and engineering. if additional education was desired, you were allowed time off to attend classes at Brown's Business College. I attended classes in math, commercial law, report and letter writing. I chose to become a mechanical engineer, because it presented an opportunity for me to be creative in designing new mechanical devices. I felt this might be my God-given talent, because I remembered how easy it was for me to operate and maintain farm machinery when I was a boy on the farm. After some time, making detailed drawings, I received my first assignment, to change one of the Universal Knee-type milling machines, from a line shaft drive, to an individual motor drive. This was at the time when electric power was becoming available to manufacturing plants. In 1930, the Sundstrand Machine Tool Co. had full order books, and announced a 25% profit on each share. In 1932, the shares had dropped to $5.00 per share, and drastic cuts in wages were made in keeping with the trend of the times. Total loss for the year was $154,000. The business would have liquidated if it hadn't been for Stalin's Russia. In 1930, Sundstrand sent a few machines to a machine tool show in Moscow. Immediately after the show, Hugo Olson received a contract from the Soviet trading company "Amtorg", in New York, who placed an order with Sundstrand for machines and tooling totaling a half million dollars. Soviet Russia helped relieve the black crisis facing the company. In 1930, Sundstrand experienced a great loss when David Sundstrand died at the early age of 50. David contributed a great, deal to the growth of the Company. In 1932, Mr. Olson called together personnel from sales and engineering to discuss ideas that might help Sundstrand reach out to new markets with machines that would improve manufacturing methods throughout the country. The members of this committee were from management, shop, sales, and engineering. I was appointed chairman of the committee, and was responsible for making arrangements for committee members to visit plants and receive permission to observe their manufacturing methods. This was at a time when there was a great deal of labor unrest, with sit down strikes in many plants. I recall one evening having dinner with an executive from General Motors. During our discussion regarding the labor unrest, I was very surprised at the following statement he made regarding their employees. Quote "We keep an inventory of all our machines and maintain them throughout their life, but an employee is only hired, paid his daily wage, and then let go when his services are no longer needed." We had an opportunity to tell him about our desire to designing machines that would eliminate dirty and arduous labor from various operations and improve productivity, whereby they could pay higher wages and benefits, yet increase their profits. Our Committee members visited many plants and were well received throughout the country. During a visit to the Chevrolet plant in Flint, Michigan, we observed various operations being performed on the six-cylinder motor block. 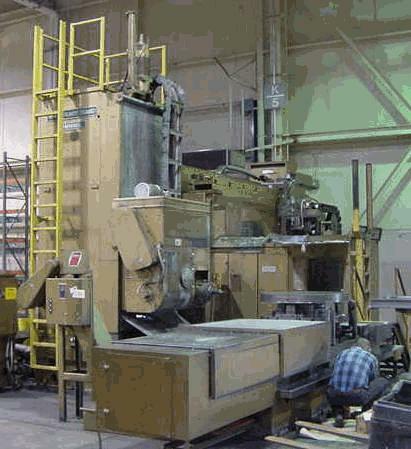 They were performing milling operations on drum-type rotary mills, where the operator would lift the heavy block from the conveyor to the moving fixture on the machine. Then, with his stomach pressing against the block, he would manually clamp it in place. At the end of the day, after lifting tons of-weight, the operator was exhausted, covered with iron dust, and had the hot metal chips on the floor at his feet. I recognized that here was an opportunity to develop a new concept in machining high production parts. After several weeks of analyzing and sketching, I proposed a machine that had multiple machining stations, where the work piece would be automatically taken from the conveyor, and transported from station to station. Realizing the fact that new types of Solenoid relays, Solenoid operated hydraulic valves, and smaller hydraulic pumps would be required to operate and synchronize all the machine functions, it seemed like an impossible task. We did not have any college educated electrical or hydraulic engineers at the time. The committee and management decided we should present a proposal and worry about details later, if we received an order. We received an order for one machine with the promise of two additional orders, if the first machine proved reliable and gave the benefits that were promised. The first machine was built in 1936 and became the first "process through machine. "Automation" was the word coined to describe this new concept of machining.These three machines replaced eighteen special milling machines, by automatically milling sixteen surfaces each machine cycle. The machines produced 8,750,000 cylinder blocks in seven years, replaced fifteen men, and saved Chevrolet $249,000 per year, in addition to increased tool life. These machines opened up new markets for Sundstrand, so a separate engineering department was formed in 1935. It was called the commercial engineering department. I was appointed Chief Engineer. During the next eighteen years, Sundstrand built 1200 special machines without one failure. I was issued 26 patients pertaining to these machines. To develop the hydraulics needed to operate new machines, one of our engineers by the name of Gunnard Wahlmark, who already had designed some hydraulic pumps and valves, was given the responsibility. Mr. Wahlmark proved to be a mechanical genius in designing and developing hydraulic devices. That made it possible for us to manufacture automated machine tools and also form the Sundstrand Hydraulic Division in 1934, the Sundstrand Hydraulic-Transmission Division in 1961, and the Sundstrand Aviation Division in 1945. I enjoyed working with Gunny throughout the twenty-five years he was employed at Sundstrand, and admired him for his contribution to the successful growth of the Company. To refresh my memory, I arranged an interview with Mr. Wahlmark in his home on November 3, 1987. Mr. Wahlmark and his wife live in a log cabin that was built in 1923 by the man who invented the milking machine. His home is located on a high bluff overlooking the Rock River in Grand Detour, Illinois. A. I was born in Rockford in 1904. Q. How much education did you have? A. My parents came to America from Sweden in 1900. They returned to Sweden with me in 1906. 1 graduated from High School in Sweden, but I did not go to college. My brother and I came back to America in 1922, and my parents returned in 1925. Q. When did you start to work at Sundstrand? A. Mr. Hugo Olson was a good friend of my father, so one day he asked my father if his son Gunnard would like to work at Sundstrand. I applied for a job In 1925, and was hired as a draftsman. My first boss was Adolph Sundstrand, a brother of David and Oscar. 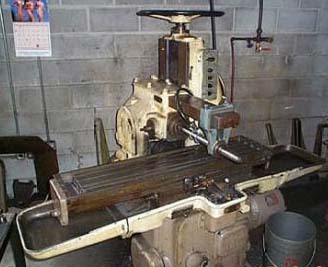 Adolph had designed a lathe that he called, "Stublathe". This lathe was a new concept from the tool room lathes they were building. It was simple and rigid in design for high production parts. After I had completed the detail drawings, David Sundstrand asked me to make some drawings of a hydraulic pump he had designed. This was my first introduction to hydraulics, which became my main interest at Sundstrand. Business was slow at Sundstrand in 1930, so I left and took a job at Borg- Warner Co. I designed a fuel-injection pump for them during the year I was employed. In 1931, Mr. Hugo Olson asked me to come back to Sundstrand and design a fuel pump for oil burners that were becoming popular throughout the country. This pump proved to be very successful and resulted in Sundstrand forming the hydraulic division in 1934. Q. I remember you designing a Hydrostratic Transmission that you installed in your Oldsmobile to demonstrate its flexibility. Was it successful? A. It did not prove acceptable to the automotive manufacturers, but it was accepted by the people who manufactured off-the-road vehicles, such as farm tractors, garden tractors, and road machinery. The success of this unit made it necessary for Sundstrand to form the Hydro-Transmission division in 1961. Q. When did you start designing hydraulic equipment for the aviation industry? A. In 1937, 1 designed a hydraulic unit that controlled the machine guns on bombing planes. The airforce and aviation engineers were investigating the possibility of providing 400-cycle alternating current to the motors that controlled the plane. This would greatly reduce weight and increase reliability. I designed a unit that would be driven by a variable-speed aircraft engine, and transform that variable- speed input into a constant-speed output. After many years of testing and design changes, the first units were installed on the Boeing B36 bomber in 1946. In 1945, the Sundstrand Aviation Division was formed. Q. When did you leave Sundstrand? A. In 1950, to do my own consulting work. Q. Are you still doing consulting work? A. Yes, I am under contract with "Volvo" of Sweden, where I have a summer home and spend my summers." There were high and low points in the development of Sundstrand hydraulics. I remember a time, when Mr. Olson was under pressure from the board of directors, to discontinue having the machine tools subsidize the heavy development and tooling costs, when there seemed to be no break through in new and profitable hydraulic applications. I was invited to Mr. Olson's home for a Xmas breakfast with the board of directors. Mr. Olson asked me to help him convince the board members that we had a quality product, and new applications that were being explored looked very promising and could become very profitable to the company. In 1934, the homeowners throughout the country began to slowly change from coal to oil in the heating systems of their homes. With perfect timing, Sundstrand had perfected a hydraulic fuel pump that was ready to be marketed. This pump was so successful it soon captured most of market. To supply this market, Sundstrand formed the "Sundstrand Hydraulic Division". On December 7, 1941, Rockford was thrown into World War 11. Rockford, a machine tool city, became involved in supplying the machine tools required to produce war materials for America and our allies in Europe. Sundstrand responded with a total effort, requiring long hours and seven days a week. I recall one incident that Illustrates the urgency of the times. One day, I was called to the phone to talk to a man in an aircraft factory in England. Our representative in London had given him my name, and advised him I could design and Sundstrand could build his requirements. He urgently needed a machine that would machine seventeen-foot long wing spars. After a lengthy discussion regarding machine specifications, I told him we would send him a proposal, estimating the cost and delivery time. Due to the urgency of the time, he said no proposal was necessary, just proceed immediately to design and build four machines in the beat possible time. We built four machines in record time, and shipped them separately to avoid being sunk by German submarines. After the war, I met the gentlemen at a machine tool show in London, and he advised me that all four machines arrived safely and were still operating in his plant. The steady pressure of trying to increase production had created an abnormal working load and took its toll in Hugo Olson's health. His conscience and sense of responsibility made it difficult for him to say "no". He was usually unwilling to delegate work to others. Hugo Olson received a blood clot in his brain, leaving him partly paralyzed. He never recovered from his health problems, so he passed away in January 1949. I always considered it a great privilege to work for him, and regarded him as a wonderful friend. Mr. Olson's office door was always open for anyone to enter. On Xmas eve one year, I stepped into his office to wish him season's greetings. I found him wiping tears from his eyes. I asked him if he had received bad news. On his desk, was an unwrapped Xmas gift, a fountain pen. Then, he told me one of the shop floor sweepers had come into his office and gave him the gift. Mr. Olson was a devout Christian and shared with me, from time to time, how he would retreat to the north woods in times of stress, to meditate and found prayer to be a great resource in his life. Sundstrand Corp., today, is a monument to Mr. Hugo Olson, who gave unselfishly of his business acumen and leadership to Sundstrand's for 44 years. 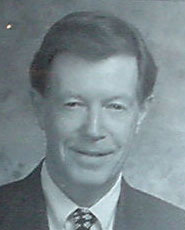 At a board of directors meeting, shortly after Hugo Olson's death, a replacement was considered. After a great deal of discussion, Mr. Gilmore Landstrom persuaded the board members to select Mr. Bruce Olson, 31-year-old son of Hugo Olson, to be president of the company. Bruce Olson represented youth, new thinking and a continuity in the board of directors. During the war years, our hydraulic engineer, Gunner Wahlmark, was working with the Airforce and aircraft manufacturers to design and develop a constant-speed drive that would translate a variable-speed input to a constant-speed output. This unit would be driven by the variable-speed aircraft engines and then drive a constant-speed 400-cycle generator to supply electric current to the motors that controlled the plane. The Airforce was vitally interested in this system because it would greatly reduce weight and be much more reliable. After many years of testing and design changes, the first units were installed on the Boeing B36 bomber. With the assurance that this conatent-speed drive had a great business potential, Sundstrand formed the "Sundstrand Aviation Division" in 1945. After the war was over, there was a great effort to rebuild European industry that had been almost destroyed. America contributed, in many ways, to make reconstruction successful. To promote the manufacture of machine tools, the European community planned machine tool shows in London, England, and Hannover, Germany in 1952. Bruce Olson was interested in the progress being made in Europe's recovery, and the possibility of selling our machine tools to them. He decided to send our advertising manager, John Kjellstrom, and me to visit industrial plants In various countries. I recall an incident that illustrates how Sundstrand proved helpful and gained a profitable business relationship. When we were walking through the machine exhibits at the Hannover Show, we noticed a German company was exhibiting a lathe that was a copy of our model 8 Stublathe. John made arrangements with the owner of the company to visit his plant. A few days later when we arrived at his plant, we introduced ourselves and told him we were from Sundstrand, and would like to know how he happened to be manufacturing our model Stublathe. At first, he was skeptical of our intentions, but after we told him we might be helpful in some way, he showed us a picture of his plant, after it had been bombed. Then he told us how his employees had volunteered to help him rebuild the plant without compensation. During the bombing, all company records, drawings, and a great deal of his machinery was destroyed. To get started again, he bought a used Sundstrand lathe, and made drawings of all the parts. We convinced him the machine he was making was obsolete, and that it would be to his advantage to operate as a licensee of Sundstrand. A few months later, our plant in Rockford had signed an agreement to manufacture our lathes and market them in Europe. We saw manufacturing plants, business buildings, and hotels destroyed in every country, with people struggling to recover. With Hotels destroyed, we had to find rooms in private homes in some cities. In the early 1950's, great strides were being made in electronic technology in all types of applications. In preparing for Sundstrand's exhibit at the 1955 machine tool show in Chicago, management asked for suggestions as to which machines would create the interest to customers. I suggested it might be possible to apply electronic automation to our standard machines, similar to the automation we had successfully applied to our process machines. Management thought It would be a worthwhile effort and expense to come up with something entirely new in machine tool operation. Working with suppliers of electronic equipment and I.B.M. to provide a card reader, we were able to have our model 14 lathe ready to exhibit. The electronic unit "Brain" was capable of talking to the machine, instructing It to go through all the machine operations. The "Brain" would tell the machine to select the proper spindle speed, carriage feed rate, and the proper cutting tool for the roughing operation. Then, the brain would tell the machine to select the proper spindle-speed carriage for the finish turning operation. The electronic unit received its instructions from punched cards prepared by the production department and read by the I.B.M. card reader. As a result of this electronic application, production was increased by 50%, and it eliminated human error. The people from NBC television visited the show and selected our model 14 lathe as the most advanced in the use of electronic technology. They came in with their TV cameras to film its operation for their national news broadcast. After the show was over, International Harvester Company asked us to install the Model 14 lathe in their research LAB for demonstration to their manufacturing personnel from all their plants in the country. We also honored a request from Sweden to exhibit the lathe at a national trade fair in Sweden. Because of the great interest shown in this new development, and the possibility of designing a completely new line of machine tools for future markets, management decided to form a separate engineering department to pursue these possibilities. The new engineering department was called "New Products Reasearch". I was appointed Director of new products research in 1956. Talking to manufacturers in Europe and in this country, I was told there were many secret developments they could not discuss with me in aviation, atomic, and space vehicles. To correct this situation, Sundstrand obtained secret clearance for me from the armed services, space administration, and the F.B.I. In all my subsequent plant visits, I made out reports to them giving the nature of the call and the personnel I talked to. Realizing the application of electronic automation to a machine 'tool would eventually require an entirely new configuration I felt it would be necessary to talk personally with engineers and manufacturers as to what kind of parts and materials were being considered. Our sales department arranged a trip for me that covered 25000 miles through Europe and the U.S.A. In Europe, I made 30 calls, and talked to 300 people singly and in groups. Five weeks were spent in Europe and four weeks in U.S.A. I was invited to address the members of the air ministry of Great Britain in London. The 40 members consisted of manufacturers, engineers, armed services, and a few politicians. I had the same experience in France with 30 people present. This Was My first experience talking before a group through an interpreter. In Germany, Switzerland, and Italy, I talked to groups of engineers and plant personnel. The defense plants in Sweden were very unusual. They are under seventy feet of granite, but are very well lighted and ventilated. The "Saab" fighter plane made in Sweden, has it's own airfield with the planes taking off from underground hangers. Being cleared by the defense department in Europe, I was able to discuss and obtain valuable information about new products being developed, and the manufacturing problems they faced. In our conferences, it was generally agreed, that to solve these problems, a new concept in machine tools would be required. SAS" airplanes had just started to fly from Stockholm to Los Angeles over the North Pole. I was fortunate to get a berth on a scheduled flight. The flight took 24 hours, so you slept on the plane. This included a 2-hour refueling stop in Iceland. Traveling on the plane were the Duke and Duchess of Luxembourg and the princess of Denmark. Not knowing at the time who they were, I got into a conversation with them. Later, I was told by a passenger from Stockholm, that I had been talking to royalty. When we arrived in Los Angeles, the captain asked us to remain seated until the royal party had left the plane. They were met by the press, photographers and a red carpet. During the next four weeks, I visited all the West Coast aircraft manufacturing plants who were designing supersonic planes and space vehicles. I also visited the very secret atomic plant in Hanford, Washington, where they were making the first atomic bomb that America dropped on Japan. The manufacturing problems faced by American companies was similar to those in Europe. So it became very evident that a new concept in machine tools and manufacturing methods would be required to machine space age parts and materials. When I returned from my trip and gave my report to management, they agreed with me, that the possibilities of applying electronic automation to machine tools of a new configuration, could open up a new market with unlimited sales. With our shop overtaxed with orders, causing very long delivery, and with the expectations of this new market, Sundstrand's management decided to build a new facility in Belvidere, 111. The new plant was completed in 1957. After many months of evaluating the information I received from engineers and manufacturers in America and Europe, and after making numerous sketches of possible machine configurations, I finally settled on a design that I believed would satisfy industry's needs. I choose to name the machine "Sundstrand Omnimill". 1. The Omnimill has 5-Axis of motion making it possible to perform machining operations of drilling, tapping, boring, reaming, straight and contour milling on a surface anywhere within a sphere. 2. The rotary work table is mounted on a solid base, moving on roller bearings to eliminate friction, making minute positioning possible. 3.The rotary spindle head is mounted on a rigid column, with two spindles making it possible to increase the usual range of speeds from thirty-to-one to three hundred-to-one. 4. The Omnimill is operated by electronic numerical controls. With the N/C controls, the part to be machined is defined in mathematical terms. Then, the required information is stored on a reel of magnetic tape in the form of discrete numerical symbols, representing all operating variables. These program symbols can be read and interpreted by electronic circuitry and transformed into electronic command signals for machining. With N/C controls and 5-AXis flexibility, it is possible to machine parts requiring complex motions along multiple axes, with a wide speed range, some times outstriping human dexterity. 5. To make the Omnimill completely automatic, a cutting tool storage unit sits alongside the machine, holding all the preset tools required to perform the machining operations. The tool storage unit is syncronized with the machine, so when the N/C control signals a certain cutting tool is required, the tool transport system removes the tool being used in the work spindle unit. Then, the tool being asked for is selected and transported to the work spindle for the next operation. Realizing It would require a considerable length of time to design the 5-Axis Omnimill, and for the companies that were working with us to design and develop the electronic devices we needed to provide N/C controls to the machine it was decided to build a simplified version with many of the unique features, but with manual control to all machine functions by the operator. The first OM-3 Omnimill was completed and shipped to Douglas Aircraft in 1957. Representatives from the armed services were invited to visit our plant to observe the Omnimill in operation. Our sales department received a letter from a chief procurement officer in the pentagon, suggesting we make a movie of the Omnimill performing various machining operations, and that we would be given an opportunity to show the film at their convention in New York. Mr. Kjellatrom, in our advertising department, hired a company, who made professional movies, to make the movie. it was very well done with appropriate background music, and with a professional commentator who read the prepared script. To help with our presentation at the armed services show, we had a wooden model made with the various axis moveable. I was active in the National Society of Tool Engineers, serving on various national committees and chairman of the local chapter. After taking part in various national seminars, I was invited to present the Omnimill movie to local chapters around the country and in Canada. We built and delivered twenty-nine OM-3 Omnimills up to the time we successfully demonstrated our first 5-Axis N/C controlled Omnimill in 1959. After demonstrating the N/C Omnimill at the 1960 Machine Tool Show, we began to receive orders from all kinds of industrial plants and job shops. One of our early applications was in a company producing hardware for the Appollo mission. I was asked by the company, If I would spend several days at their plant to consult with their production engineer, as to how the N/C Omnimill might help them manufacture very complex parts. They purchased one machine. Shortly after the machine was in operation, I visited the plant, and was told by the men I had talked to, on one part in particular that they never produced a part that would pass inspection without extensive rework. The second part they machined on the N/C Omnimill passed inspection, and required no rework. Another Omnimill, installed in a Cleveland job shop, proved to be an excellent investment on parts being made in their shop. The lead-time was greatly reduced by the elimination of expensive jigs and fixtures. Parts were held to closer tolerances, and the actual machining time on one part was reduced from 150 hours to 40 hours. By 1963, we had delivered thirty-six N/C Omnimills ranging in price from $100,000.00 to $257,000.00. To produce these machines with required accuracy and cost effectiveness, we were using six of our N/C Omnimills in our shop. Almost all machine tool builders were designing and building all kinds of N/C controlled machines, proving the future market was in supplying N/C machines in operation throughout the country. In 1962, the editor of the magazine "American Machinist" gave me a copy of their December issue that had an eight page article titled, "Making An N/C Department Pay". A colored picture of our OM4 Omnimill was displayed on the cover. Also, the "Fortune" magazine, in their March 1962 issue, had an eight-page article titled "How To Talk To Machine Tools". The article included pictures and technical information and our Omnimill 3. Because both magazines had worldwide circulation, it caused a surge of interest throughout industry and confirmed there was a great future market for N/C controlled machine tools. When I retired in 1966, our production department was releasing Omnimill units in lots of twenty-five to the shop for manufacturing capacity. I am grateful to Sundstrand for the opportunity to work in the engineering department for 47 years, where I was free to be creative In designing machines that would benefit machine operators both physically and economically. When these machines improved Sundstrand sales and became profitable to the Company, it gave me a great deal of satisfaction. The dedicated efforts of all the engineers who worked under my supervision throughout the years, deserve much credit for many successful design innovations. I also appreciated the opportunity to work for Hugo Olson and his son, Bruce, and for their confidence in me, and for providing the funding required for research and development. After twenty-one years of retirement, I now enjoy being active in the Sundstrand retiree group, and feel honored to serve as chaplain and sergeant-at-arms for the people with whom I worked with for so many eventful years.